I'm not going to do a huge Black Friday sales round-up this year - there are so many sales happening, and it's kind of overwhelming. I've never been one to do Black Friday sales in person... it's way too early and crowded, and even the thought of it makes me crazy. I am definitely a fan of online Back Friday sales, though. No need to wake up early, can shop in your PJs - that's much more my thing. I just want to share one major Black Friday sale with you, because it's such a great deal that I don't think anyone should miss. All of Amazon's Echo devices are on sale, so if you've been thinking about getting one, now is the time to do it. I wrote about my Echo here - I have the Echo Spot, and I love it. It has made things so much easier for me - I can control the lights for my room with it, which is huge if you can't reach a normal light switch from your wheelchair! But even if you don't have that particular problem, you can use it to turn off the lights when you're all warm and toasty in bed and don't want to get up to turn the lights off. I also use it to make phone calls, get the news and the weather, and even to do Headspace meditations. Plus, if you're a Prime member (which you probably are, and if you aren't, you should be!) you can listen to music on it, too. If you get one with a screen, you can use it in the kitchen to read recipes off of, and of course, you can set a timer on it, too. 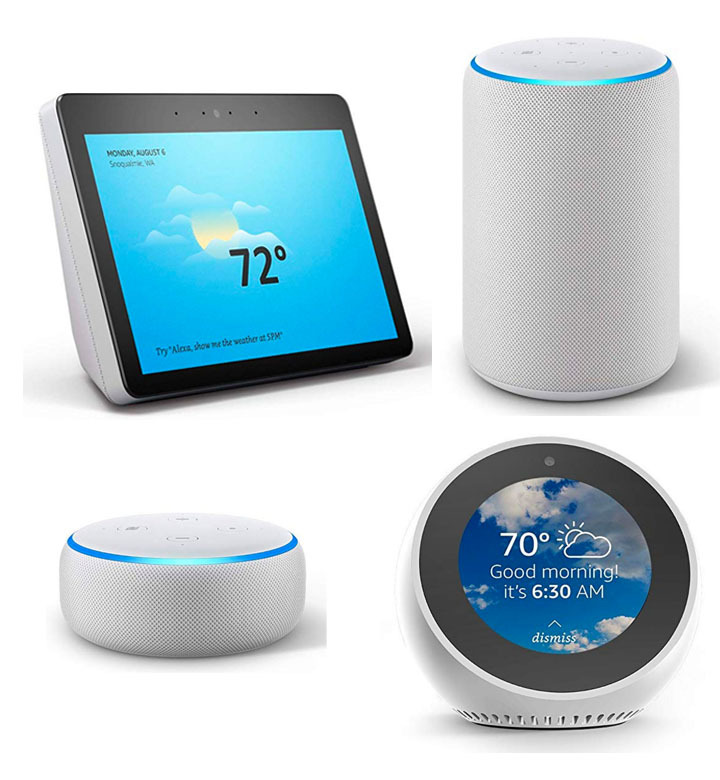 The Echo Spot and the Echo Show are the ones with screens. The Spot, which I have, is perfect as a night table/bedroom device - it's small and sleek, and has a clock/alarm/anything else you'd want in your room. The Show is perfect for the kitchen - it's bigger, so the screen is perfect for recipes or cooking videos. If you're looking for something with a better speaker, and don't have as much about the screen, go for the Echo Plus. And if you just want something basic, the Echo Dot is a great choice.